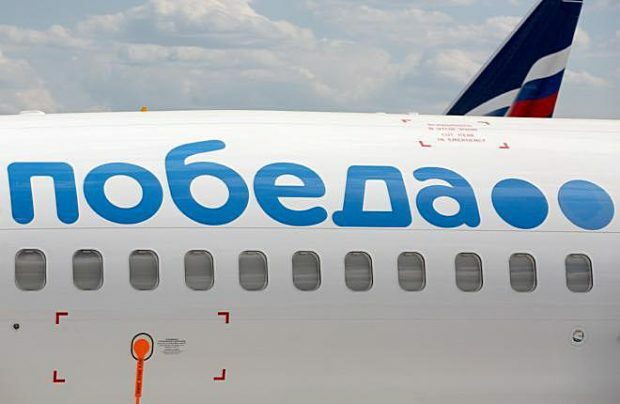 Russia’s airlines enjoyed a flying start to 2019 with a collective 8.8 per cent improvement, whilst Pobeda, the country’s only low-cost carrier (LCC) broke into the top-three rankings for the first time. In January, Russian airlines carried some 8.2 million passengers, up 8.8 per cent on the same month of last year, according to a preliminary report from the country’s aviation authority Rosaviatsiya. However, the growth rate is starting to show sings of slowing down when compared to the 13.5 per cent growth demonstrated in January 2018. Revenue passenger kilometres (RPKs) reached 21.7 billion in the period, a 10.8 per cent improvement year-on-year. The figures show that most of Russia’s top-five airlines are also illustrating growth. Of particular note is Aeroflot’s LCC subsidiary Pobeda Airlines, which carried 689,100 passengers, an impressive 43.7 per cent year-on-year improvement – a performance that allowed it to climb from sixth place into the top-three in the ranking of airlines. The airline’s press secretary Elena Selivanova told Russian Aviation Insider that continuing fleet and network expansion are the primary factors behind the growth. Pobeda currently operates 26 Boeing 737-800s (up from 16 a year ago). Aeroflot remains the nation’s undisputed leader, having carried 2.8 million passengers in the period, demonstrating a solid 13.4 per cent growth on January 2018. The second largest this month is S7 Airlines, which served 818,300 passengers, but at a much lower growth rate of 2.6 per cent. Ural Airlines, the fourth one, served 603,500 in the month, up 6.5 per cent. The results for Rossiya Airlines, previously the third largest airline, as well as financially stricken Utair, which ended last year in fifth place, have not been revealed by the agency. The overall traffic forecast for 2019 is at least 120 million passengers, up from the 116.1 million that Russian airlines carried in 2018.